Service projects include delivering meals to the home-bound and elderly, to volunteering with Patriot Paws, which trains and provides service dogs at no cost to disabled American veterans and other veterans with mobile disabilities and PTSD to help restore their physical and emotional independence,and working with Mission & Outreach in supporting orphans and graduate students in Uganda. The Brotherhood meets the first and third Saturday mornings of each month at 8:30 a.m. in either the Church Parlor or the Clergy Conference Room. New members and visitors are welcome at any meeting. If you are interested in joining, please email Barry Crossman ([email protected]) or call 214-357-4939. 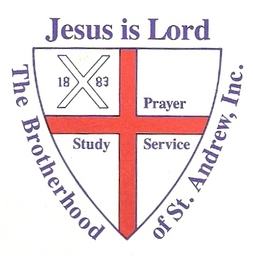 To learn more about the Brotherhood of Saint Andrew, please visit the national website at www.brotherhoodstandrew.org or the diocesan website at www.bsta-dallas.org. The Brotherhood of St. Andrew is a missionary and evangelism ministry of the Episcopal Church and Anglican Communion. The goal of the Brotherhood is to bring men and youth to Jesus Christ through the daily practice of prayer, Bible study and service. The Brotherhood meets the first and third Saturday mornings of each month at 8:30 a.m. in the Coke Room. Saint Michael and All Angels Parishioners cook and serve a hot meal 6 times per year to those in attendance. A member of our clergy celebrates the Eucharist on those Sundays that we serve, and all help provide for the physical and pastoral needs of The Gathering members. Volunteers are needed to help cook on Saturday, April 27 from 9-11 a.m. Please reply to Lane Clark, [email protected], if you are interested in cooking. The Gathering was founded to build and nurture a loving and compassionate faith community where the housed and unhoused, churched and unchurched gather together to seek healing, spiritual fulfillment, and Christian community. Services are held every Sunday at 1 p.m. in Thanks-Giving Square, downtown Dallas. Volunteers are needed to help serve a hot meal to attendees on Sunday, April 28 from 1-3 p.m. Please reply to Lane Clark, [email protected], if you are interested in cooking. Join Saint Michael parishioners to serve dinner at Austin Street Shelter. Project Moses is a mission founded by parishioners to highlight the truths of human trafficking and share the Light of Christ with its survivors. To support the mission, 3 areas of concentration have been established: formation/education, advocacy and outreach. Partnering with New Friends New Life, a local organization providing services for trafficking victims, we provide meals for trafficking survivors and additional resources. Hosting mostly meetings for church members to learn more and get invovled.